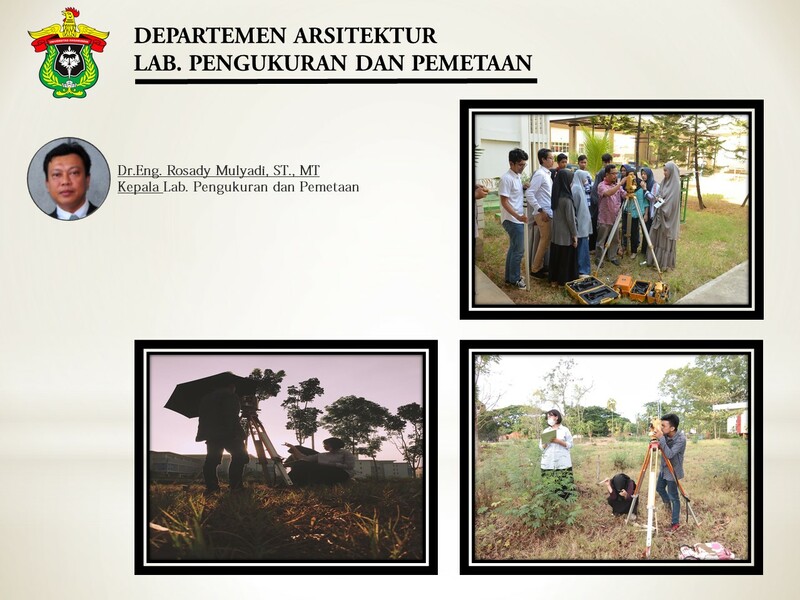 Laboratory of Surveying and Mapping is one of the educational laboratories in the Department of Architecture of the Faculty of Engineering, Hasanuddin University. This laboratory is a place for practicum activities in the mapping and analysis of the site. In this laboratory, the students do the practices of site surveying for single buildings as well as for areas such as real estate. In addition, this laboratory is also a place for surveyors to process the measurement data and present the measurement data in the form of map visualization (polygon, contour, cross section) and analyze the site for architectural design. This laboratory is headed by Dr.Eng. Rosady Mulyadi, ST., MT.